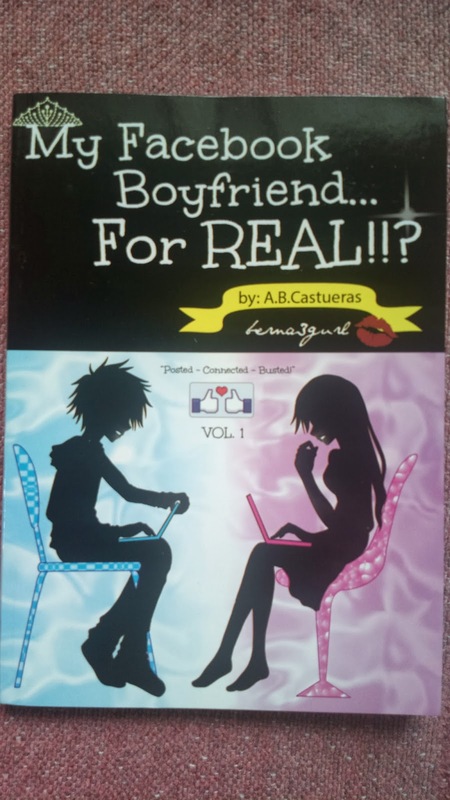 FBBF or Facebook boyfriend, that’s something I’ve learned from the most recent Wattpad borne PSICOM published novel I’ve read – My Facebook Boyfriend, for Real?! by Anne Bernadette B. Castueras It features Maria Nadine “Nads” Castro and Troy Harris Smith, whom Nads and her friends initially named as William Troy, Nads fake Facebook boyfriend with pictures they only store from someone else’s account. Unfortunately, they were caught and it started in a riot but eventually led towards a romantic story between our two main characters. The development of the romance won’t be complete without the usual humor and seemingly perfect characters. In this book, we have the Red Dragons basketball team. They sort of reminded me of The Lucky 13 in Talk Back and You’re Dead. Too bad, the book copy I have in possession isn’t complete and I didn’t find the sequel online because the author had already removed it as well so I’ll be hoping for a copy of book 2 soon to continue reading where it left off. Yet although the book isn’t complete, I’ve enjoyed every single page. I finished reading in a matter of hours. It’s funny and kilig to the bones to the max. As always, I felt like a teenager again giggling and enjoying every moment. And if you’re looking to feel the same vibe, then this book is for you.